Of all the labour-saving devices meant to make our lives easier, the microwave oven was one that really held up its end of the deal. Nowadays they are an expected part of every kitchen, from the smallest apartment to the grandest homes but it wasn’t always that way. 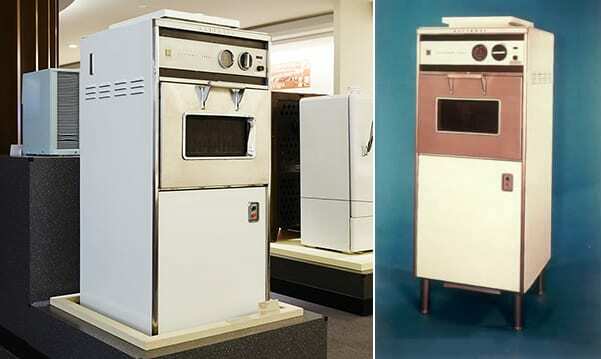 Today we are flashing back to when domestic microwaves were a mere pipe dream but the enormous devices were revolutionising commercial kitchens. The possibility of using microwave power for cooking was actually discovered entirely by accident in 1946, when an engineer testing a magnetron (a vacuum tube that emitted microwaves) discovered that the chocolate bar in his pocket had melted. His light bulb moment led to more fun tests (exploding eggs, for instance) and a race by manufacturers to get working models on the market. 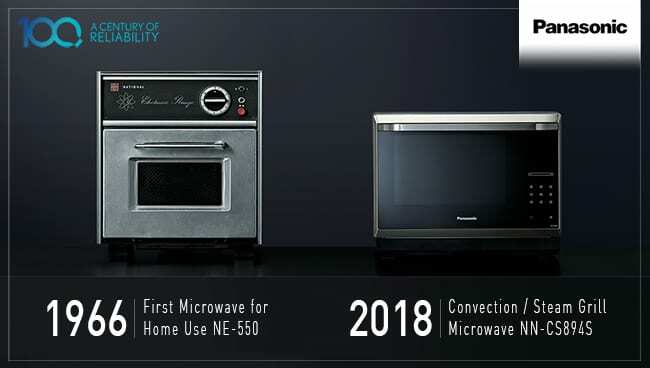 Throughout the late 40s and early 50s, microwaves were so large and prohibitively expensive that only the most exclusive restaurants and large hotels could afford to harness their power. Imagine a monster weighing 340kg and costing about $5,000! 1963: Panasonic launches the first mass-produced microwave oven for restaurant and institutional use, the NE-100F. By 1966, Panasonic’s first ‘compact’ microwave oven was available for home use. This freestanding unit required about the same space as a bar fridge and only needed a small amount of power to provide the cooking power of the largest microwaves in its class. While this product was intended for the home, its very affordability and ease-of-use changed the face of commercial cooking. It meant that the microwave oven came to be used in virtually every restaurant and they became an indispensable tool in any bakery. 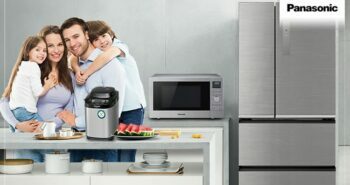 So, the next time you are heating up last night’s dinner in that tiny appliance on your kitchen bench, spare a thought for its predecessor that wouldn’t have even fit in your kitchen. 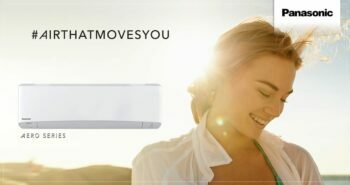 Back to the future, check out Panasonic’s latest microwave ovens.